Is it just me, or does it feel a bit off in this age of mental health wokeness to name a track ‘Go Mental’? Like, isn’t that one of the words we don’t use anymore? I mean, it’s not a super big deal, it just feels kind of outdated. Fitting, you might say, for a Robbie Williams song. 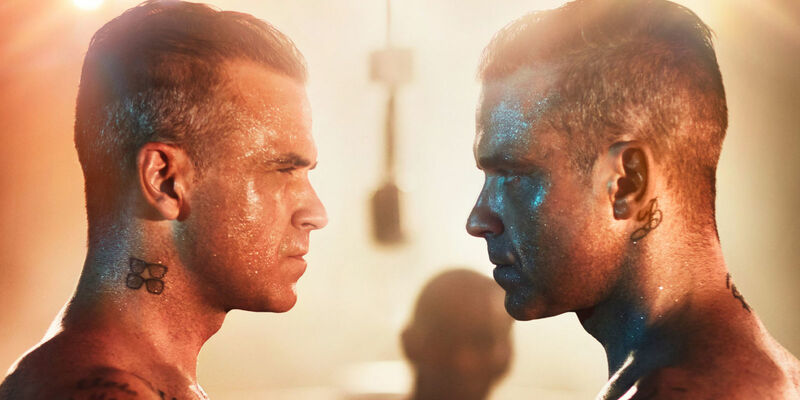 For his bizarre comeback track, Robbie Williams has enlisted the help of Big Narstie and Atlantics Horns. It’s a weird combination, and one that gels about as well as you’d think, the three acts each vying for centre stage, trampling over each other to grab a few seconds of the spotlight wherever they can find it. Oh, and the single art features Williams’ naked backside. When all else fails, I guess. There is a lot to digest on ‘Go Mental’. It’s like eating chips, custard and marmite all at once. The combination doesn’t work, it’s a chore to get through and it leaves an unpleasant aftertaste. What we have on ‘Go Mental’ is essentially three different songs crudely bashed into one. The thing is, none of the individual segments – from Narstie’s rap to a dance-meets-big-band chorus – is any good on their own, never mind when they’re melded into one jarring, clumsy Frankenstein. ‘Go Mental’ throws a hundred different ingredients into a pop cauldron and expects it to make something refreshing and new. It doesn’t. A recipe that includes rap, brass, dance and Robbie Williams isn’t going to churn out anything other than slapdash, messy nonsense. And that’s exactly what ‘Go Mental’ is. That said, you have to admire Williams’ audacity. He’s one of few veteran pop stars who makes a continued effort to evolve and offer something new. From the sugary trumpet pop of ‘Candy’ to the sinister, big band arrangement of ‘Party Like A Russian’, Williams has remained committed to pushing the boundaries of his sound and giving his fans something different. As we learnt back on ‘Rudebox’, however, this isn’t always something that pays off. What’s unusual (among many things) about ‘Go Mental’ is how little Williams actually features. He disappears into the background, swallowed up by an over-complicated, hectic arrangement, only surfacing on the verses – the most forgettable part of the track. Still, perhaps this isn’t such a bad move. On a song as dodgy as this, the background is probably the best place to be.